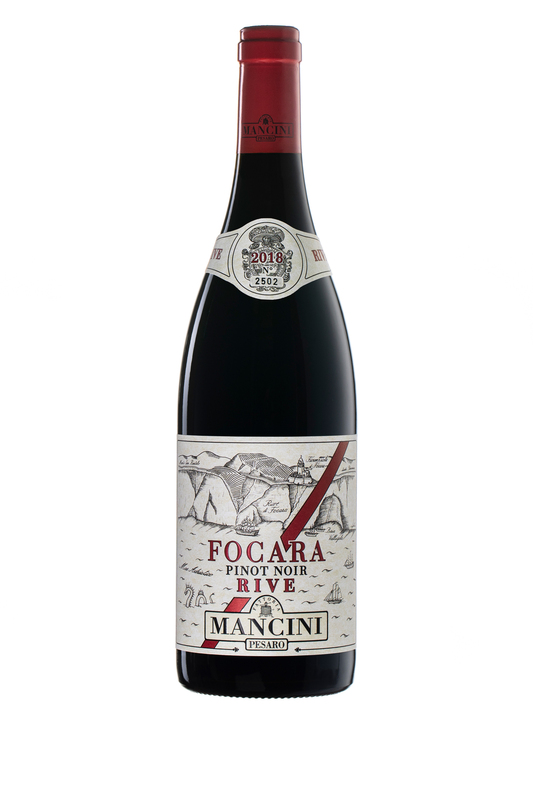 FOCARA Pinot Noir is produced from a traditional red vinification, then aged in barrel for 12 months. The area of Focara has distinguished itself over the years for the production of Pinot Noir with a strong personality and the typical character of this grape variety. The quality and history of this wine was acknowledged in 2000 through the creation of the D.O.C. Colli Pesaresi Focara Pinot Nero. Pinot Noir from the Rive Monte vineyard is produced and bottled with its own label Rive. Transportation: in baskets - in a mobile cooling cellar equipped with an independent motor. The cooling cellar was transported to the vineyard every morning, allowing the grapes to be cooled as soon as they were harvested. The cellar then returned to the winery in the evening to continue the cooling process during the night. The grapes were destemmed the next morning at a temperature of around 9°C. Vinification 100% destemmed, at a temperature of around 9°C. Cold maceration was carried out for around 7 days.